Bremen, Germany– Chauvet, a leading global supplier of entertainment and architectural lighting products, has established Chauvet Germany GmbH, a wholly owned subsidiary to serve the German market. Based in Bremen, the new subsidiary will distribute and service CHAUVET Professional, CHAUVET DJ and Iluminarc products. The opening of the new facility represents the company’s first direct presence in the German market. 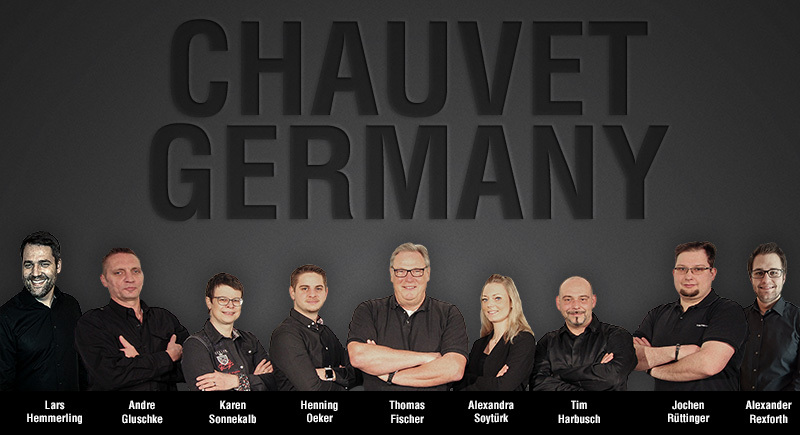 Thomas Fischer, formerly Owner and Managing Director of Fischer GmbH, has been named Managing Director of Chauvet’s German operation, which will focus on lighting. He is joined by Henning Oeker, a well-known lighting industry expert, who will serve as Regional Sales Manager. Chauvet Germany GmbH is the fourth European subsidiary and the sixth domestic subsidiary of the Florida-headquartered manufacturer that also sells its products through a network of authorized distributors in over 100 countries. Chauvet Germany GmbH is located at Bruno-Bürgel-Str. 11, D-28759 Bremen, Germany. Sales or service inquires can be addressed to DEsales@chauvetlighting.de. Klicken Sie hier für die deutsche Übersetzung.